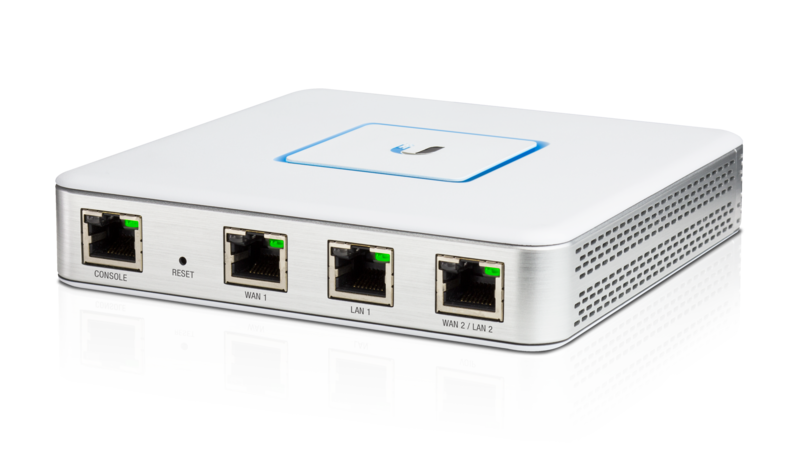 Upgrade the performance and the security of your wired and wireless networks. You wouldn’t rely on a sticky note to keep your front door secure. So why rely on that ugly, plastic box from your ISP to keep your network secure? Your gateway router is your first line of defense. The USG keeps bad guys out of your network and protects your private information. Managed security updates ensure that you are always protected from the latest threats. Greater range and higher speeds: the UAP is like having a whole new wireless network. Websites load faster, games have less lag, and those trouble signal spots are less trouble and more signal. The USW may not have have a glamorous job, but it makes up for it in being the workhorse of your network. Ensuring all your wired clients have somewhere to plug in and your UAP gets power, the USW is the hub of your network. New Internet-based threats appear almost every day. Make sure your network is ready for them. All network-hardware packages from BITS come with our enterprise-class management. Your gateway, your switches, and your access points will all receive security updates without your lifting a finger. Leave the management to use and regain some peace of mind. If there’s ever a problem with your network hardware, our technicians will be notified immediately. Even before you notice the problem, we’ll be working on it. With a support forum, chat support, and email ticketing, we’re always here for you. Keeping everything up to date these days is a never-ending task. You update and then there’s an update to the update. You feel like Sisyphus. But falling behind on your updates can create security risks. Let us handle the updates and never have to deal with the hassle, or the worry, again. "My wireless connection at home used to be slow and intermittent. Sometimes it wouldn't even reach the back of the house. Now I always have a great connection, and I know my network is safer for me and my family."